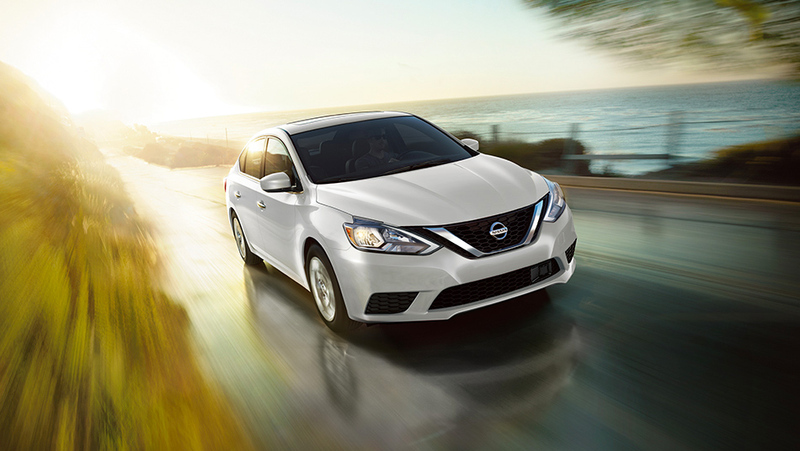 The Nissan Sentra is your ticket to a modern-day driving experience. 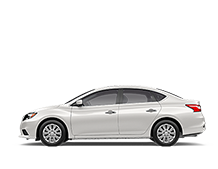 Highlighted by its Nissan Intelligent Mobility technology system and an interior that is comfortable, spacious, and stylish, the Sentra provides efficient city driving that keeps you safe and secure around every street corner. Its technology ranges from driver aids that keep you protected to connectivity features that easily let you link your phone to your car. The Nissan Sentra, found at West End Nissan, is impressive across both its look and functionality. Stay ahead of the curve thanks to the Intelligent Emergency Braking and Rearview Monitor of the Nissan Intelligent Mobility, which aides to help you both when driving and parking. Apple CarPlay™ and Android Auto™ link your phone for navigation, messaging, music, and more. As good as its sleek exterior looks, it’s the interior where the Sentra stakes its stylish claim. You can easily seat five with a generous amount of legroom, or switch it up to flip the rear seats down if you need to transport cargo instead. Piano Black trim adds even more premium quality to the sharp interior. Every drive is economic, with the 1.8L engine that works with the Xtronic CVT transmission to give 6.3L/100 km of efficiency on the highway. Bred for city travel, the Nissan Sentra is perfect for modern life. 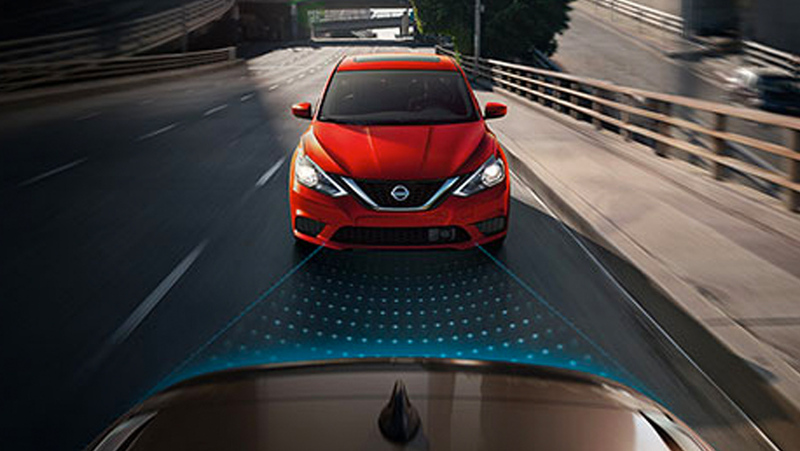 In 2019, the Nissan Sentra became even more technologically advanced and connected for all of your needs. Every trim is outfitted with a 7-inch touchscreen that puts the easy-to-use NissanConnect system at your fingertips. Not only is it even simpler to use, but it’s undergone a slight design change to fit in with the sleeker and more stylish design of the Sentra. Apple CarPlay™ and Android Auto™ functionality is available on all styles of the Sentra, outside of the base model. If you want to deck out your car even further, a Nissan Sentra Special Edition package has been added, giving your vehicle 17-inch wheels, adaptive cruise control and blind-spot monitoring, rear disc brakes, and a sunroof. Always adapting to the modern driver, the Nissan Sentra wants to serve you. West End Nissan has a vast inventory of Nissan vehicles for your to shop from, and our sales, service, parts, and financing departments would all be happy to answer any question you may have about your vehicle or ownership.